StepUp Ministry’s Alumni Program has been busy with workshops presented by volunteers. One topic included Entrepreneurship Opportunities. Through the generous efforts of one of our volunteers with Triangle Solutions Alliance, a local attorney gifted the program with two business start-up packages. The winners will receive legal services pro bono with additional start-up services from a team he has put together. 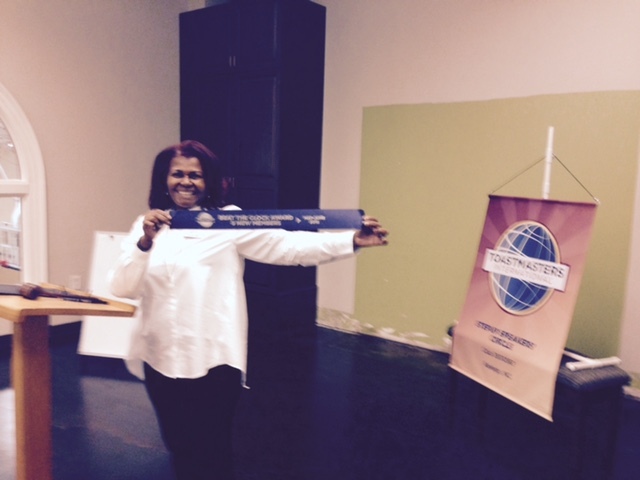 In addition, the StepUp Speaker’s Circle of Toastmasters International received its first award, the Blue Ribbon.